Easy to find! 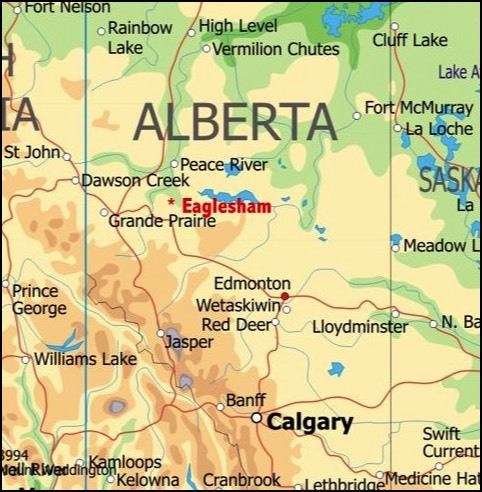 Eaglesham Lakeside Golf & Country Club is located centrally in the Peace River Country halfway between Peace River and Grande Prairie. We are 1.6km east and 1 km north of the Eaglesham turn-off on Highway 49. Highway 49 is accessible from Highway 2 at either Rycroft on the West, or Donnelly on the East. 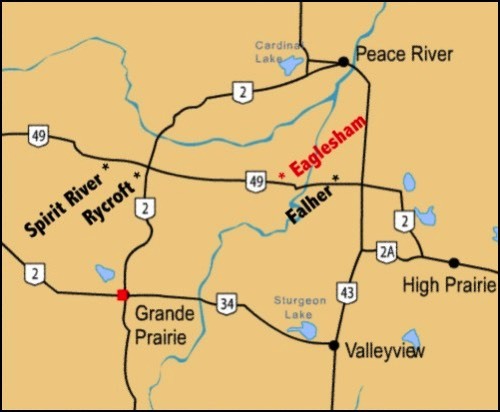 Eaglesham, situated in the beautiful Birch Hills County of Northern Alberta with unlimited outdoor recreation. A great place to raise a family and build a business!